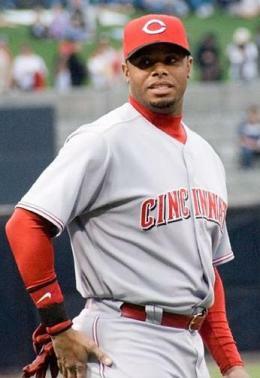 Griffey was a natural interview target for the book, having grown up around the game and seen first-hand how the unwritten rules have changed since his dad roamed major league outfields in the 1970s. It was clear through the conversation that Griffey wasn’t just paying lip service to the Code; he believed in it, and understood it through all its permutations. Of particular interest were his reminiscences about his rookie season. He came into the league as a 19-year-old amid unbelievable hype, just 22 months after being selected by the Mariners with the top overall pick of the 1987 draft. Even with his pedigree, even with his draft position and even with the hype, it didn’t take long for Griffey to learn his place in the pecking order. And sure enough, my locker was right next to him the whole year. A rookie’s primary clubhouse goal, of course, is to blend into the scenery, a concept that Griffey understood as well as anyone. Still, his effervescence, personified by the backward cap that always seemed perched atop his head, appeared to actively fly in the face of Code convention. I grew up with what we now call old school, but I think I’m a hybrid—a kind of new school/old school. We’ve changed the game some, with the long pants and baggy uniforms, that type of stuff. You just try to make the game more fun. Some of the guys have their hats askew—you know, like me with my hat being backward. People thought I was just trying to be different, but that’s not it. When I was a kid, I’d grab my dad’s hat. It was big, so whenever I started to run, the brim fell in front of me and I couldn’t see. But I always wanted to grab my dad’s hat, so I turned it around. I’ve been doing it since I was four. I wasn’t trying to be different. When I finally explained it to people, they started laughing. Because, you know, when you’re a kid, what’s the one thing you want to do? You want to be just like your dad. 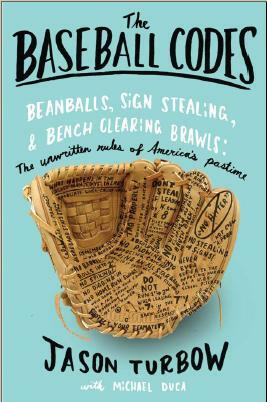 You put on his shoes and walk around the house, you put on his pants and hold them up and walk around, and those are the things that I did—but my dad just happened to be a professional baseball player.